Costume made by: The lady herself! This was an original design and which all components of the costume were hand made...even the mask and her hand carved sword! Favorite costume piece/biggest challenge: That mask you guys, this pic, taken in the crowded convention hall does not do it justice, so be sure to check out her facebook page for more pictures. The Anubis mask is Myratheon Cosplay's favorite part of the costume (The Red Menace and I felt the same). It was also her biggest challenge. In speaking with her you could definitely get a sense of how proud she was of her work...and she should be! Thoughts on Clown Spiders: Here's a place where Myratheon Cosplay and I differ. She found our Clown Spider stickers adorable! 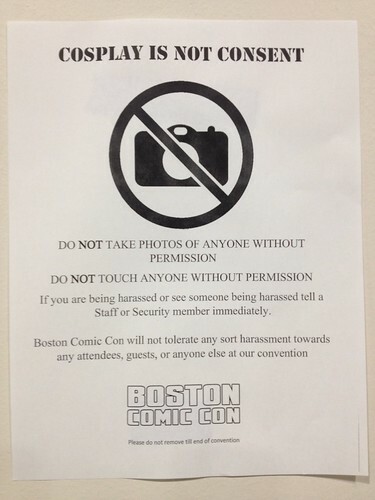 Tiny Doom's 2014 Boston Comic Con round up!